Miotech currently operates out of offices in Hong Kong, Shanghai, and soon, Beijing and Singapore. It caters specifically to the Asian market through two multilingual products, one of which was only launched last Thursday: the Advanced Market Intelligence (AMI) platform, which the company describes as a “virtual data scientist,” organizes and visualizes large amounts of finance-related data from multiple fields. Miotech was recently among 10 contestants chosen from a pool of 305 to participate in Google’s first-ever Demo Day Asia, held in Shanghai on September 20. But – spoiler alert – despite the new product, Miotech didn’t end up as the judges’ top pick (that honor went to an Indian public health startup). Still, the company promises to make new inroads in the field of finance. AI isn’t ready to take over the world just yet, according to at least one China expert, but it certainly makes it easier to collect and digest vast amounts of information, investment-related or not. 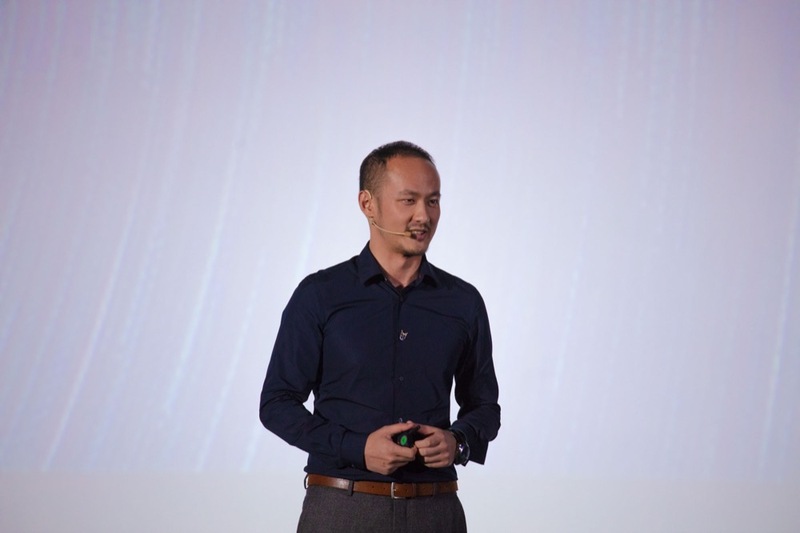 We sat down with co-founder and CEO Jason Tu recently to talk about Miotech’s products, prospects, and possibilities for the future. What sets you apart from other companies that combine AI and finance? I think most of the people are doing data aggregation in finance. Once aggregated, it’s really hard for them to get insights, find patterns within the data, [and] get trends, for example. And these are something that human brains are not able to process… [with] this huge [an] amount of information. That’s where AI comes in, where it automatically detects trends and automatically detects… risks associated with all these things as well. These technologies have been available in the consumer industry for a while. Whereas we’re bringing a lot of this really awesome technology that these big tech corps or enterprises have used into the financial industry for the first time. Can you explain more about how AMI works? [In] finance or in the investment industry, what an investment manager wants to know is the big picture. If I search for “electric vehicle” [online,] can you tell me what’s happening in the vehicle industry? With a list, there’s no way. With electric vehicles, it could be battery technology, it could be autopilot, or it can be computer vision… connected to autopilot, or it can be suppliers. So all these pieces of a puzzle together tell a story… that’s our vision of how we can potentially revolutionize financial information with artificial intelligence. We have a graph database where you can traverse the whole graph, [and] we tell you what the world is like by connecting different information nodes together. [AMI can] figure out if this company is unique in all [kinds of] different ways. Or tell me a trend that’s going on within this industry. And that’s the tool that investment managers need for market intelligence. What about your other product? The other technology is focused on portfolio intelligence. These kinds of events, these kinds of interdependencies, all would in fact affect your overall performance. [They] can be risks or opportunities. So we can help you get everything. That’s a lot of different elements. The finance industry is complicated… So when you develop a tool that serves the finance industry, you’ve got to make sure that it can cover all kinds of different sectors. That’s the art of finance, and that’s also the challenge that gets us excited when using AI. Since your analysis depends partly on news and social media, are you afraid of bias? First of all, in terms of the bias of data source or opinions, we try to diversify. For example, right now we have 1.5 million articles that come into our system every month. And we’re actively enriching our database, we are deploying more crawlers into all different sources… we’re trying to get a more and more balanced view of the world. Second of all, we’re active on the AI side. We try different models… so that we can make sure that we can incorporate all different kinds of ways of analyzing data. As compared to one single way that would introduce what we call AI bias. What about analysis for the China market, where news coverage tends to be positive? Very good question. But think from another perspective. Isn’t that something that can tell you a story? [If] a lot of Chinese news is positive, and then it tells you that probably there’s something wrong, because they’re not allowed to talk about negative things. If you [see that when you] compare the overall China narratives to American narratives on the same topic, for example. So, to answer your question, we cannot control what people or what media talk about. But I think behind every statistic there’s got to be a story. The above interview was edited and condensed for clarity.